The memorandum of understanding between Northumberland organisations and Indo UK Healthcare Private Ltd was signed in Alnwick. Health and care leaders in Northumberland have signed a historic memorandum of understanding with a leading healthcare provider in India. This agreement will provide further support for a major £1billion programme to transform health and care services across the Asian country. The partnership is between Northumbria Healthcare NHS Foundation Trust/Northumberland County Council (Northumbria) and Indo UK Healthcare Private (IUHP) Ltd. The Indo UK Institute of Health (IUIH) Programme will deliver a staged roll-out linked to the Indian Government’s Smart City programme across 100 cities and will involve the setting up of 11 IUIH medicities along with 89 Indo UK clinics. Northumbria Healthcare and Northumberland County Council will be working alongside a small number of other NHS Foundation Trusts that began working with IUHP in 2015 to support the delivery of hospital services in the first of the 11 states. In return, the partnership is expected to become a significant revenue stream for local health and care services in the county. 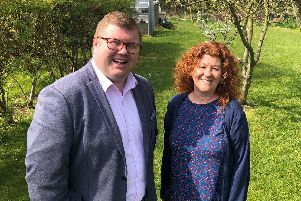 Coun Susan Dungworth, county council cabinet member for adult care and public health, said: “We are delighted to work with IUHP and be able to share what we have learned from the strong partnership we have developed between the NHS and social care, over many years, here in Northumberland. “India has one of the largest populations in the world, so the pressures on its healthcare system are enormous. This new partnership has been made possible thanks to Healthcare UK – a joint initiative between the Department of Health, NHS England and the Department for International Trade.